Overall Operating Height - Fully Raised: 161 in. Height to Hinge Pin - Fully Raised: 123 in. Ground Clearance to Chassis: 8 in. Overall Length without Bucket: 105 in. Dump Reach - Fully Raised: 27 in. Rollback at Ground: 28 deg. Clearance Circle - Rear: 60 in. Clearance Circle - Front without Bucket: 52 in. Clearance Circle - Front with Bucket: 87.5 in. Rollback at Specified Height: 95 deg. Rated Operating Capacity with Optional Counterweight: 2,370 lb. 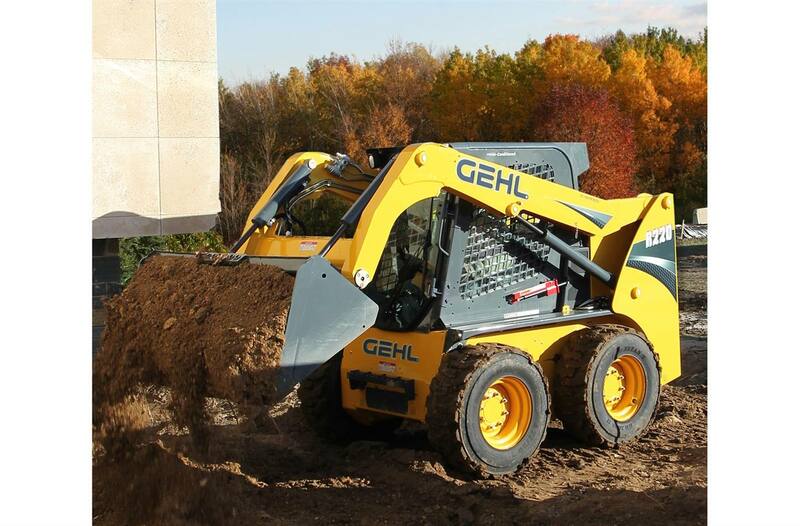 With over 40 years of skid loader manufacturing experience, Gehl has taken performance to the next level with the? 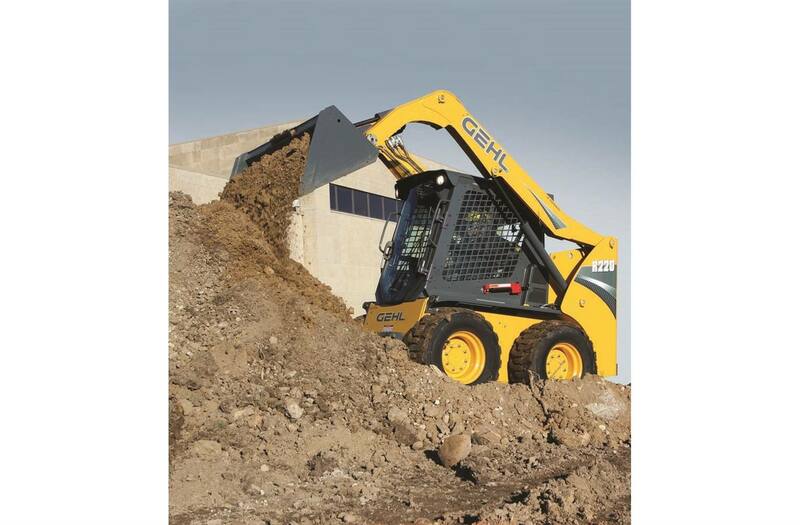 R220 skid loader. Hydraloc™ system applies brakes whenever the operator raises the restraint bar, leaves the operator's seat or switches off the ignition. 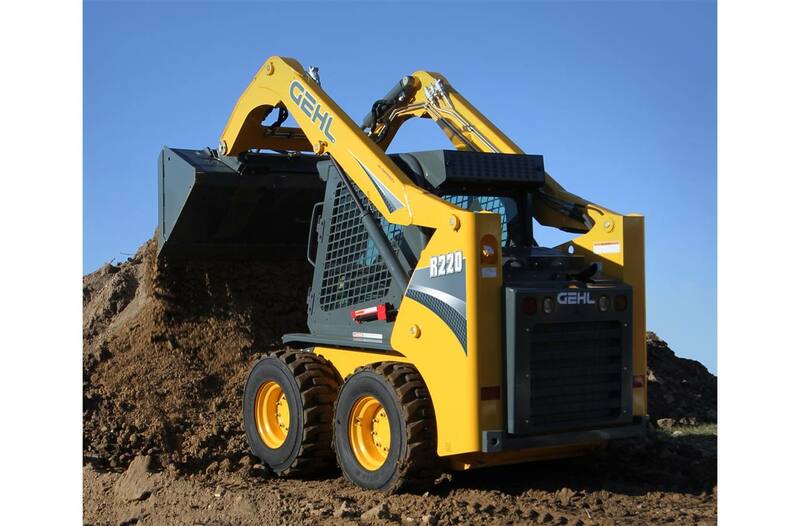 A full line of Edge attachments and accessories are designed specifically to fill operators' needs, making their R220 the most versatile machine on the job site. Popular attachments are listed below. 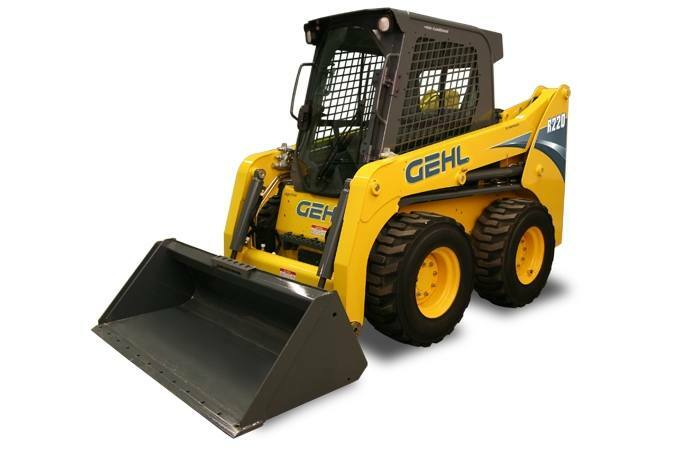 A - Narrow width with off-set wheel option B - Per SAE J818, SAE J732, and ISO 14397 C - Weight of base unit with standard equipment, standard tires (heavy-duty flotation), standard dirt-construction bucket and 175 lb. operator.